You have seen many types of spices in your home. Carom seeds is one of those whose name will be heart and seen by everyone. It is not only spice but also it has many healthy benefits. It also heals the kidney stone. 1. Carom seed is very beneficial in any type of digestion related problem. It is one type of anti acid which prevents you from constipation. You can mixed it with curd or buttermilk and drink it. 2. You can chew carom seed in winter. Drink lukewarm water along with it. It heals nasal catarrh. It is very beneficial for asthma and bronchitis patients if they intake carom seeds two teaspoons every day. 3. Carom seed can be used in any type of pain such as heart, headache or ear pain. You can use carom seed oil to heal ear pain. You can intake carom seed along with lukewarm water in heart pain and headache. 4. Arthritis and join pain patients should do massage with carom seed oil. 5. If the person is vomiting after drinking alcohol then you can feed carom seed to him. It gives relief to him and it increases his appetite. 6. 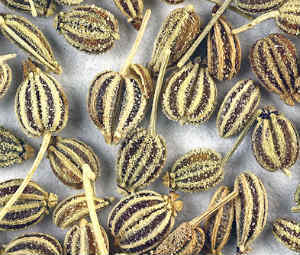 You can get relief from mouth blister or mouth sore or toothache if you eat carom seed after having your meal at night. You can use carom seed as mouth freshener. To avoid toothache you can boil it in water and do gargling with it. 7. It is very beneficial in acidity. Fry carom seed and cumin together and boil this mixture in water. Filter this water and mix sugar in it. You must have to intake this mixture as it gives you relief in acidity. 8. Pregnant women should intake carom seed because it not only cleans the blood but it also control the blood flow in the body.